One fall day as I arrived at Forsythe National Wildlife Refuge in New Jersey, I went into the enclosed space where the bird list is kept. 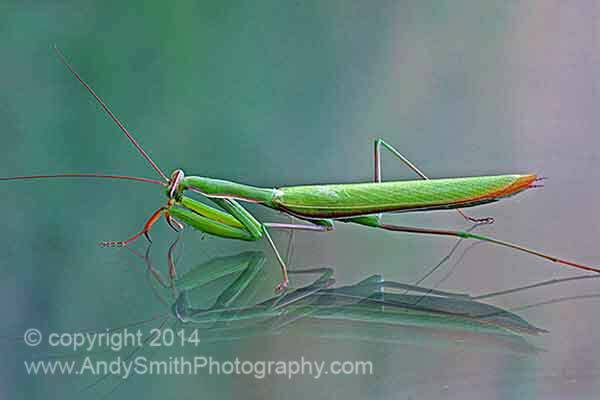 Upon looking out the window I saw this Praying Mantis clinging to the glass. The reflection on the double paned window created this unusual image. The Praying Mantis, a carnivorous insect, plays an important role in insect control.